Peter Wynne Rees is to join The Bartlett in April after 29 years as the City of London Corporation's City Planning Officer. Peter, who studied architecture at The Bartlett, will become Professor of Places and City Planning as part of a three-year professorship - with the first year sponsored by the City Corporation. He joined the City Corporation in 1985 and was City Planning Officer during a period of substantial regeneration and change. His previous jobs include periods with the Historic Buildings Division of the Greater London Council and in private practice with Gordon Cullen. While at the Department of the Environment, he advised local authorities across England on the conservation and planning of historic towns. As Assistant Chief Planning Officer to the London Borough of Lambeth, from 1979-85, he led the production of the borough's conservation strategy and the regeneration of Brixton and Vauxhall. "I am delighted that Peter is to join us - there are very few people in the world who can be said to have shaped the skyline of a world city, but Peter is one of them," said Professor Alan Penn, Dean of The Bartlett. "His knowledge of London, its history and planning, is exhaustive. He knows the people and firms involved in helping ensure that London has become the world's leading financial capital, and so can put flesh on the bones of that history. "One of the main reasons that students travel from around the globe to come to UCL is to live in and experience London. Peter will undoubtedly communicate the central importance of architectural design to the way that places and cities are created, to the lives of citizens and to the creation of economies. "More importantly he brings together a number of the strands that distinguish The Bartlett in the world. He is an architect and a planner, but has been intimately involved in the world of major contraction projects and real estate development. All of this in London, our home city." 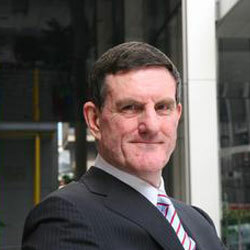 "I am delighted to be returning to The Bartlett after almost three decades at the City," said Peter Rees. "My professorship will enable me to continue my love affair with London and my involvement in the capital's evolution. "The Square Mile will always be a special place for me and I have enjoyed having a hand in its transformation since 1985. Having played in the premier league for one of the world's most successful cities I am thrilled to be joining the team at one of the world's finest universities. "My time as City Planning Officer for the City of London has demonstrated what can be achieved when you are in the right place, at the right time with the right team. None of it would have been possible without the skilled and dedicated colleagues in whose safe hands I leave the regeneration of the City." Michael Welbank MBE, Chairman of the City Corporation's Planning and Transportation Committee, added, "I would like to thank Peter for his contribution as City Planning Officer over the past three decades and wish him well at UCL in his new role. Looking forward, the City Corporation will continue to provide a world class planning service that promotes high quality architecture and sustainability while preserving the Square Mile's rich heritage. This is crucial to London's continuing success as a leading global financial and business centre." The City Corporation will continue to provide a high-quality planning service as part of the Department of the Built Environment under its Director Philip Everett. As part of that Department, Annie Hampson will take on new responsibility as the Chief Planning Officer and Development Director.